DULLES, Va.Nov. 19, 2013-- Orbital Sciences Corporation (NYSE:ORB), one of the world s leading space technology companies, announced that it successfully launched a Minotaur I rocket in support of the Department of Defense Operationally Responsive Space Office s ORS-3 mission earlier this evening. 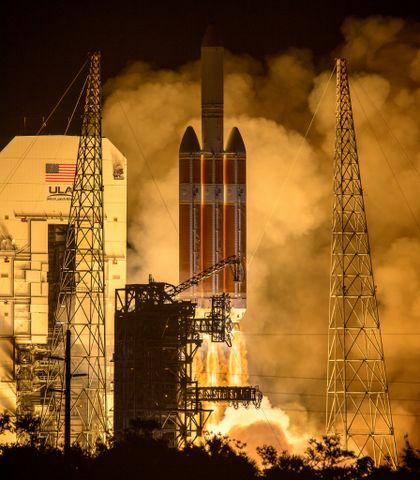 Originating from the Mid-Atlantic Regional Spaceport, located at NASA s Wallops Flight Facility in eastern Virginia, this mission marks the 25th launch for the Minotaur rocket, all of which have been successful, and the sixth Minotaur vehicle to be launched from the Wallops facility. At approximately 8:15 p.m. (EST), the rocket s first stage ignited, beginning its flight into low-Earth orbit. Approximately 12 minutes after lift-off, the Air Force s Space Test Program Satellite-3 spacecraft was deployed into its intended orbit at an altitude of approximately 500 km (310 miles). The Minotaur s upper stage then executed a pre-planned collision avoidance maneuver before starting deployment of 28 CubeSats sponsored by the ORS office, the U.S. Air Force Space and Missile Systems Center s Space Test Program, and NASA s Educational Launch of Nanosatellites (ELaNa) program. This mission marks the final launch for Minotaur under the initial Orbital/Suborbital Program-1 and -2 contracts, culminating in the successful delivery of 74 satellites to orbit and 10 suborbital payloads to high-altitude trajectories over 25 total missions, said Mr. Ron Grabe, Orbital s Executive Vice President and General Manager of its Launch Systems Group. Orbital s team is absolutely focused on offering the most reliable and cost-effective launch systems to our government customers for their important space missions. This dedication and teamwork with the Air Force has resulted in achieving 25 consecutive successful missions since 2000. We look forward to continuing this collaboration under the OSP-3 contract in the years ahead. 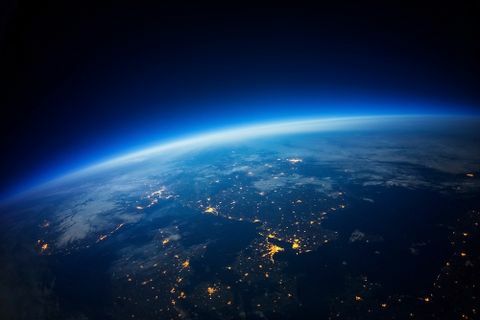 This launch, which was executed under a Federal Aviation Administration (FAA) license obtained by Orbital through the FAA s Office of Commercial Space Transportation, demonstrated a commercial-like approach to government launches in an effort to reduce overall costs. Through this mission, Orbital also supported the development of new technologies for launch and range improvements including automated targeting, range tracking and flight termination systems. The Minotaur I space launch configuration combines Orbital s commercial launch vehicle technologies, including upper stage rocket motors, avionics, structures and other elements, with government-supplied lower-stage rocket motors to create responsive, reliable and low-cost launch systems for U.S. Government-sponsored spacecraft. It can place payloads of up to 600 kg (1,300 lbs.) into low-Earth orbit. 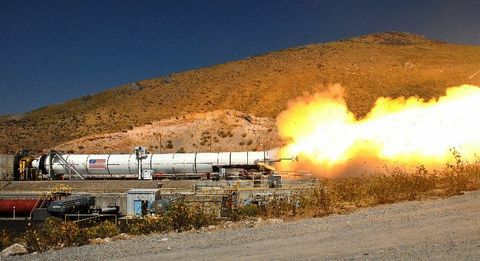 Under the OSP program, which is managed by the Air Force Space and Missile Systems Center s Space Development and Test Directorate (SMC/SD) Launch Systems Division (SMC/SDL) located at Kirtland Air Force Base, New Mexico, Orbital designs, integrates, tests and provides space launch services with the Minotaur I, IV, V and VI rockets, as well as other suborbital capabilities with the Minotaur II and III configurations. The rockets are specifically designed to be capable of launching from all major U.S. spaceports, including government and commercial launch sites in Alaska, California, Virginia and Florida. Orbital s use of standardized avionics and subsystems, mature processes and experienced personnel make Minotaur rockets both reliable and cost-effective for U.S. government customers. The ORS-3 mission, also known as the Enabler Mission, will demonstrate launch and range improvements to include automated vehicle trajectory targeting, range safety planning, and flight termination; employ a commercial-like procurement with FAA licensing of a Minotaur I; and launch the Air Force s Space Test Program Satellite-3 and 28 CubeSats on an Integrated Payload Stack. These enablers not only focus on the ability to execute a rapid call-up mission, they automate engineering tasks that once took months and reduce those timelines to days or hours, resulting in decreased mission costs. Orbital develops and manufactures small- and medium-class rockets and space systems for commercial, military and civil government customers. The company s primary products are satellites and launch vehicles, including low-Earth orbit, geosynchronous-Earth orbit and planetary spacecraft for communications, remote sensing, scientific and defense missions; human-rated space systems for Earth-orbit, lunar and other missions; ground- and air-launched rockets that deliver satellites into orbit; and missile defense systems that are used as interceptor and target vehicles. Orbital also provides satellite subsystems and space-related technical services to government agencies and laboratories. More information about Orbital can be found at http://www.orbital.com. Follow the company on Twitter @OrbitalSciences.